Pet Puzzle Fun is a cute match three puzzle game that is both easy to learn and challenging to master! To play simply move and line up 3 or more matching animals. Each match scores points and free tokens you can use to earn power ups! These power ups can help you clear challenging puzzle levels, allowing you to make matches of 3 when the board is tough. 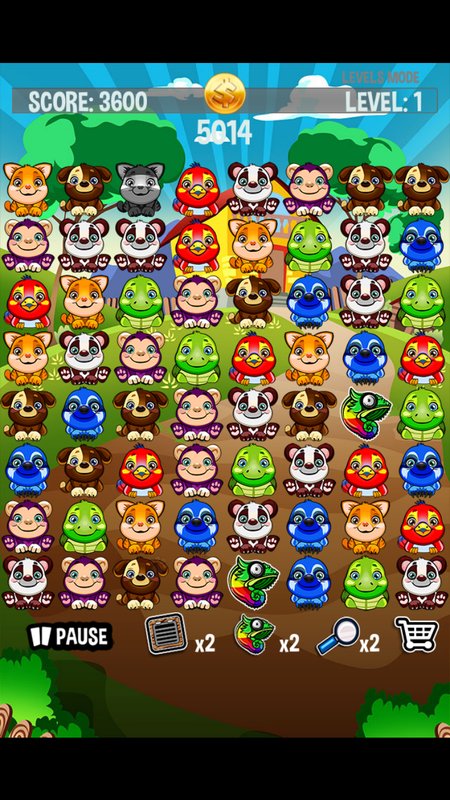 Pet Puzzle Fun will work on any iPad, even the original one, and all iPhones running iOS 5.1 or newer. Plus, like all of my games – Pet Puzzle Fun will be Free! Check it out today: Pet Puzzle Fun – Cute Match 3 Puzzle Game. We just released an update to Amazing Seeds for Minecraft – version 1.4.0. 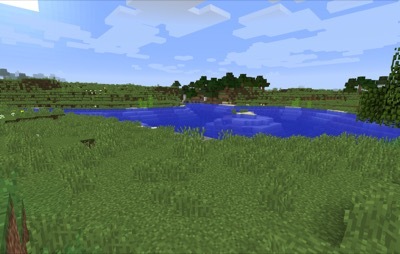 This new version includes even more seeds for great new worlds in Minecraft 1.8.1 on PC/Mac and 0.10.4 on Pocket Edition. Also included is new support for all devices, including iPads. Make sure to update on the App Store, or if you haven’t downloaded yet – hit this link to get the app: Amazing Seeds for Minecraft. One of my favorite features of Amazing Seeds for Minecraft, my app listing the best seeds to use to spawn super fun Minecraft worlds, is the ability for users to submit in suggestions. Now what makes this great is not just the good submissions that send in awesome seeds, but the truly bad submissions sending in garbage. People Lie on the Internet?? Gasp! I get plenty of humor value from our less talented users or wannabe trolls, whatever the case might be. 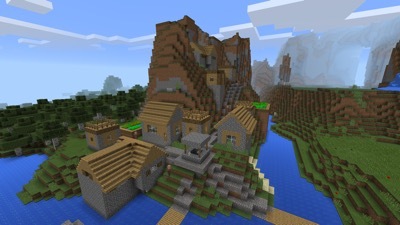 Nearly all of the Minecraft seed web sites and apps allow users to submit suggestions. So I realize I’m not doing anything special here. But, almost all of those don’t do any checking for quality at all. So if you’re a troll, or a 10 year old who thinks you’re super cool for submitting a seed and lying about how great it is, chances are on most Minecraft sites you’re crap is going to get posted. I’ve seen it over and over. Most of the more popular apps on the iTunes App Store are full of utter garbage because of this exact problem. So… not so amazing. Pretty much a totally standard seed and spawn point. Where are the diamonds? Temple? Massive crack? Yeah not so much. Nice try kid. You’ll have to send in a real seed if you want to get added into the app. In the meantime I find it funny you keep trying to be a troll and add garbage into the app. If you haven’t already downloaded Amazing Seeds for Minecraft – check it out today on the iTunes App Store. I’ve also created some crazy new rules games like Truly Bad Hands – where your goal is to make terrible poker hands and Aces Aces Aces! which is all about getting Aces in your hand and nothing else. 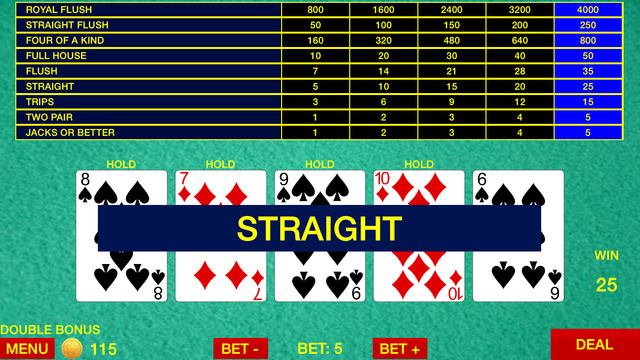 Super Ultimate Video Poker is FREE to download! So check it out and download today! I’ve been writing code for more than 30 years now. I’ve been getting paid to write software professionally for almost 20 years. Incompetent Developers: You know the type, the ones that produce 4 bugs per commit. Pointy haired bosses: Micromanagers who cannot let people work in their own way and cause chaos by disrupting all progress. Drive-by bosses: Bosses who drop assignments and disappear into the mist. Often these assignments are due last week, come with incomplete requirements and impossible needs. Impossible deadlines: Yeah, everyone has been there right? We’ve all seen these things before because they are all incredibly common in software development. But, these are just the common problems. One problem I’ve seen time and time again is self-inflicted, usually by an ambitious lead, or a young programmer trying to impress. It is the problem of solving problems that don’t exist. I’ve done this myself, or at least I used to. I try not to anymore. What do you mean solving problems that don’t exist? Good question. Simply put, its fixing issues that only a developer or designer would care about. This could be simple. Like wanting to remove all compile warnings from a legacy code library. Or it could be something a bit tricker like rebuilding a feature to use more efficient code. Or it could be redesigning a UI to make things “easier” for the users. The key thing that drives these is usually a developer trying to improve a system from their perspective. Never does this start from a user perspective. There in lies the problem. Even the most innocuous change can have long reaching consequences. Even the best intentioned redesign or reimplementation can cause massive problems. So how does this relate to World of Warcraft? For years, I was an active World of Warcraft (WoW) player. I used to play daily for an hour or so, for years. I don’t anymore and it was Blizzard (the game’s developer) design decisions that pushed me out of the game. It pushed me and close to 6 million people out of the game as the game’s subscriber count has been cut in half in recent years. I still follow the game thinking that they will see the light and fix things, but it hasn’t happened yet. Three days ago Blizzard launched their latest expansion: called World of Warcraft: Warlords of Draenor (WoD). Draenor is basically the same world as Outland which already exists in the game, but 30 or so years prior. So they were able to reuse parts of Outland in designing Draenor saving a ton of time. Draenor is a new continent to explore. Outland was neat so Draenor probably will be too. Draenor is not really a new continent. Its a rehash / re-creation of a place we’ve all been to before. Not to mention the story line behind how we got to Draenor is some convoluted BS time travel story that ret-con’s game lore and makes no sense at all. This is probably the only item on here that is not an example of fixing a problem that doesn’t exist. In this case its more an example of developers being lazy and not creating something new, rather just rehashing something that already exists. In all previous expansions at least one new class or race was introduced. This added to the gameplay of the game by expanding player options. The developers didn’t bother adding either in this expansion, saving them no doubt a ton of time. A standard feature of all new expansions was cut from Warlords of Draenor obviously this is a net loss for players. This is example of developers fixing one of their problems – specifically fixing the problem of creating a new race or class and integrating it into the game. They fixed it by just not doing it. So players get less for this expansion than ever before, just to simplify developer’s lives. Developers decided at some point to remove the ability for characters to fly in WoD. This has been largely undiscussed and when mentioned by Blizzard it has been only briefly discussed but described in many different ways. At one point flight was in the game, then it was to come later after the WoD release. Recently one of the main WoD developers just came out and said they had no plans for flight in WoD. So Blizzard keeps changing their story, but never just coming out and stating their plans. Blizzard’s claim is that removing flight will somehow increase immersion. The claim falls flat on its face. Players already know what playing without flight is like. We’ve done it every expansion until maximum level is achieved save for Cataclysm. Players have nearly univerally hated the leveling which has been the part of the game without flight. Most players rush through it to get past it as fast as possible. It is not fun, players already report that. Being restricted to the ground in places like Timeless Isle is wildly unpopular. Further, given the choice in all previous versions players always flew on flying mounts instead of running on the ground. If being grounded was better, players would have done it already. So clearly, this was not a change players wanted. This was a change Blizzard wanted and implemented despite feedback wildly in opposition to their plans. This is a huge loss for players. No flying, you tried it and it failed – this is a great example because its only 11 hours old and has over 300 replies already, mostly in support of the return of flight. These are threads just from the last few hours, with dozens of replies each. This is for a game so broken right now that only a tiny fraction of players can even play. Just wait until the mass of players finds out this feature was taken away without announcement. The response will be cataclysmic. Also, this epic thread from MMO-champion is over 20000 posts now talking about the removal of flight. 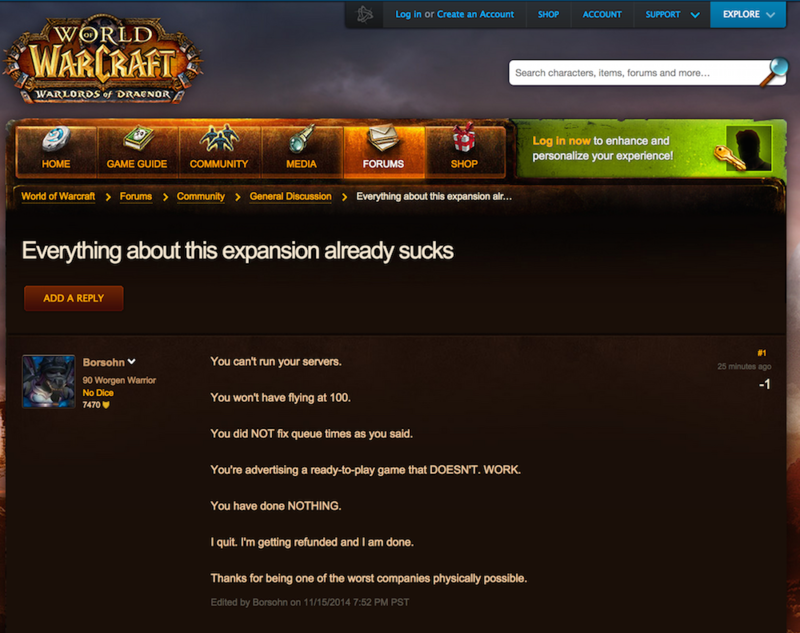 Also, the Reddit.com subreddit for WoW was shut down in protest. That is huge as its got a readership of over 500,000 members. Its gone as a protest until WoW is fixed. This is huge not only in game, but in real life financial terms. Many players have purchased flying mounts which they can no longer use in the game. Many players have collected flying mounts for 7 years or more in game and can no longer use any of them. That’s a huge loss of time, gold and other in game resources to things you can no longer use in any meaningful way. This is also probably one of the biggest nerfs in the history of World of Warcraft. The ability to move around has been nerfed by a factor of 3. Ground mounts are at best 1/3 the speed of a fast flying mount. In addition, ground mount travel requires non-optimal paths, dealing with being dazed and knocked off mounts, and other impediments. So, at best this is a 3x nerf to getting around the game, at worse it can be a lot worse. Removing flight for characters on PvP realms can now mean that PvP realms will be gank fests again. Ganking is never fun for anyone but the person doing the ganking. Ganking was fun 10 years ago. It hasn’t been since then. For the few folks who enjoy PvP, there are plenty of ways to enjoy it that do not require the removal of flight. Flight offers a unique form of immersion in game. Flight allows exploration in a way ground mounts do not. Flight allows for quest designs that ground mounts do not. All of that is lost in WoD. So yeah, this is a huge, huge loss for players, all to make developers lives easier. This is the worst example in WoD of developers fixing a problem that does not exist. Developers removed many player abilities from all classes in the game in WoD. This was done under the guise of removing things “players never use”. On the contrary, what was actually done was to gut many iconic class abilities. This benefits the developers because it greatly simplifies the designs of all player classes, and removes abilities that need maintenance and balancing. None. Or at best some vague promise of simplifying playing your character. A significant amount of player flexibility was lost. Many iconic abilities that have been staples of players since launch were removed. Abilities like crowd control were gutted. Buff/debuff abilities were gutted and removed. Overall, it was a large loss of features for players with no decreeable gain. No one asked for this – so again, this is another example of developers fixing problems that no one had. Many of the in game statistics for World of Warcraft have increased exponentially since release. Whereas characters in the original game had 4000 hit points, characters at the end of Mists of Pandaria had 1 million. This scaling impacted other things too like enemy hit points, damage and skills values. Blizzard was starting to run into the limits of 32 bit integers for number ranges. The limits of a 32 bit signed integer is -2^31 to 2^31, or roughly -2.2 billion to +2.2 billion. Because of the way the WoW engine is designed, for some reason they couldn’t just go to 64 bit numbers. So, Blizzard squished all the numbers as they are now, down orders of magnitude. This impacted everything in game from hit points, to item stats, to player stats, enemy HP and more. The numbers in game were reduced to a more linear progression and are now about 50x less than pre-squish. This is a loss for customers. Primarily it is very confusing. Players are used to increasing power as they grow in the game. Now their power has been reduced in a huge way. All stats were supposed to be reduced similarly, causing no net impact, but this is not what actually happened. There have been hundreds of issues with improper scaling and numbers requiring fixes. In order to make older content solo-able as it was before Blizzard had to put in crazy scaling for damage to make their new system work. Its a huge hack in the game and really kills the experience of soloing old content as everything just falls down and dies now. It really removes the immersion of fighting old bosses when you use one ability and a 25 man raid boss dies. In the pre-WoD world, there was still some challenge to soloing old content. Not anymore. Again, like so many other WoD “features”, this is another example of developers fixing problems that no one had. No one asked for this – no one was complaining. This is purely a developer getting inventive and fixing something that bothered them, but bothered no customers. The developers decided to change or remove many of the stats on items. Item stats are now a lot more like Diablo 3 – random and unpredictable. Also, the way that stats and powers are assigned to weapons was overhauled changing the system in significant ways that make it much easier for developers to create loot. Basically all loot now has just a few stats with some random and rare bonuses. They also decided to remove reforging which was a skill players could use to manage the powers on their items. Now, players cannot reforge or customize their weapons. Reforging – slight benefit, in that you no longer have to worry about optimizing gear because you can’t. This is a loss for customers. Re-itemization is the very essence of fixing a problem that does not exist. No one was complaining about how items were created and the stats they had. Yet, Blizzard spent a ton of time completely recreating the stats for every item in game – and for what? Itemization now is more broken than it was before, and offers less choices for players. In addition, the removal of reforging is also a loss for players. Reforging was a novel idea that allowed players to customize their items in a way to make them have the stats and powers they wanted. By removing it, players have a lot less choices as to how to outfit their characters. This is another example of a problem that only developers had and not players. So by removing it, they actually took something neat away to make their jobs easier. So, clearly you can see Blizzard has made huge mistakes in their latest expansion to World of Warcraft. Almost all of these mistakes are because developers focused on their OWN needs and not their customers. This is a common mistake and one that is easily fixed. Unfortunately, its often one that costs money because you lose customers over stupid decisions that should never have been made. Today, is 3 days after the launch of WoD. The game is literally crashing and burning. Blizzard has barely been able to keep their servers online and there is a huge outrage in the player base because the game is unstable, unplayable and full of issues. Most players cannot even login due to long queue times or servers being down. Clearly, Blizzard has focused on fixing the wrong things. In doing so, they shipped a terrible product, and obviously an unstable one. Once players can get in and actually experience it, there will be a huge blowback as players realize all they lost and wonder what they gained in this terrible expansion. I’m not playing, and I didn’t buy WoD. I won’t until Blizzard fixes the game and by fix I mean revisit all of the above things I mentioned plus the dozens of other things they broke in this expansion. Honestly, if they just rolled the game back to the state it was in during Wrath of the Lich King, I would be back in game tomorrow.